Updated Monday January 18, 2016 by Saskatoon Minor Basketball. If you are interested in a new coaching opportunity with the SMBA we may have what you are looking for. For a number of years, our Spring League has has not done a great job of serving two distinct groups that are important to the development of basketball in Saskatoon: our competitive level players and those new to the game. Spring league is often the first basketball opportunity for many athletes whose primary sport is not basketball. We believe that if we provide them with a great first basketball experience, we can get them hooked on the game and have them come back for the fall league. This is where you come in. 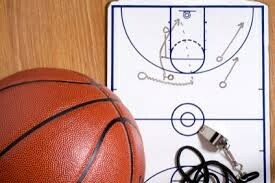 For our our inexperienced spring basketball players, we are creating D-League. This developmental league will consist of a format that will utilize the skill of a few master coaches who will provide high level instruction that will create a strong foundations of fundamentals for these young players. The format will include 2 one hour sessions per week, where the coaches will use a developed curriculum to instruct the players and allow them structured practice for the first half of the session. In the second half, the coaches will match up players of roughly equal athleticism and ability to play in some controlled game-like situations. Some days, one on on or two on two, other days 3 on 3 or 5 on 5; it will depend on the progression of the athletes and what they are developmentally ready for. We understand how valuable your abilities as a coach are for beginning players, and so to reflect that, we will be offering a $700 honorarium for the 8-week spring basketball D-League coaches. Although we know that money is not the thing that drives great coaches, it is important that the SMBA shows we value our master coaches. If you think that the above description of a master coach fits you, and you are committed to helping these young athletes develop, please send us a brief letter of application that provides information about your previous basketball experience (playing, coaching, organizing). Please send all email applications to smba@sasktel.net as soon as possible and include subject as D League coach application. If you have any further questions, please use the above email.